My new fixation is Chocolate Covered Marshmallows. While I still enjoy creating things out of Chocolate and Pretzels like these adorable Easter Bunny bites, I got a little crazy recently with the marshmallows. 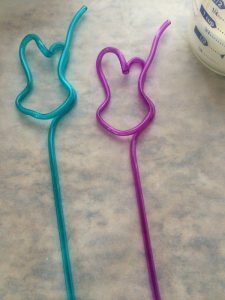 It all started when I was at our Dollar Store recently and found these crazy straws and immediately imagined how I could make a fun Easter Treat with these bunny shaped straws. The rest of the story just fell into place after that. 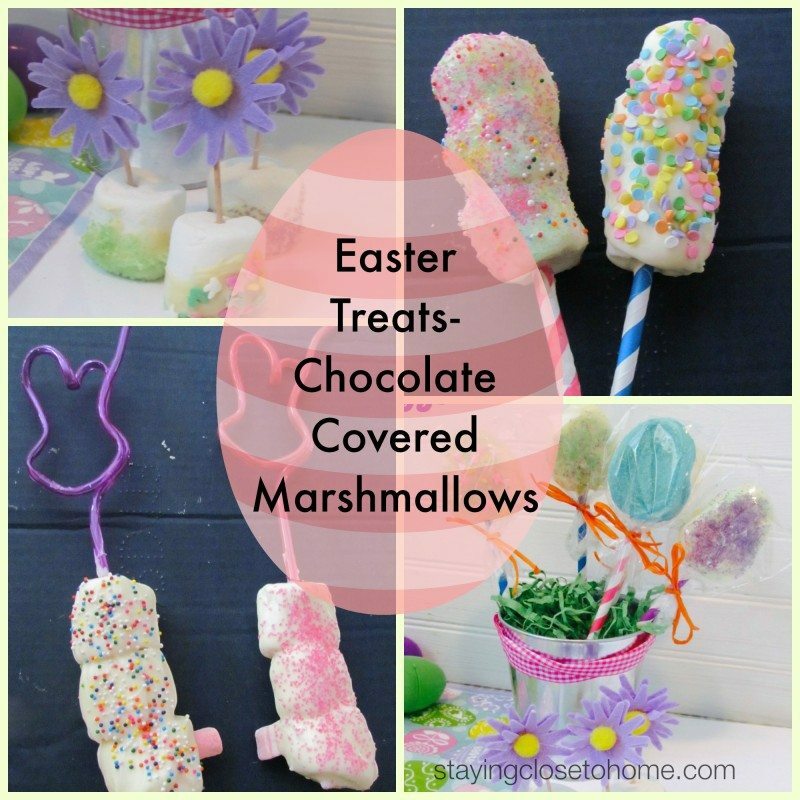 All of these Easter Treats are super easy and quick to make. 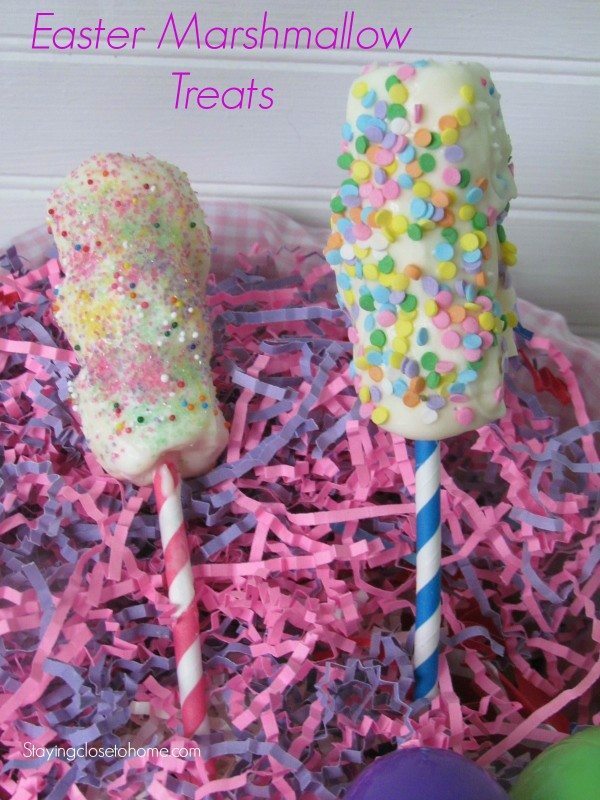 They would make adorable class treats or combined together an adorable and edible Easter Table idea. 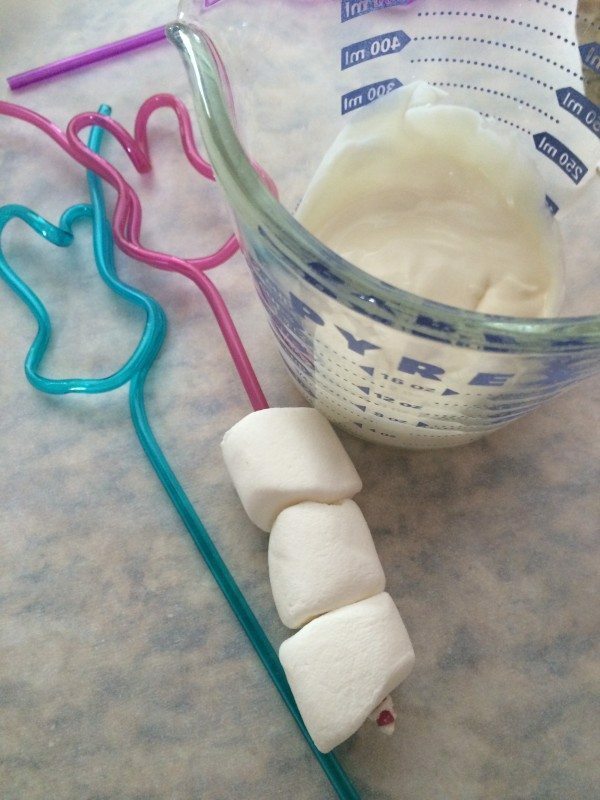 For the Easter Bunny straws I just wove 3 large marshmallows on the sticks and dipped them in chocolate. 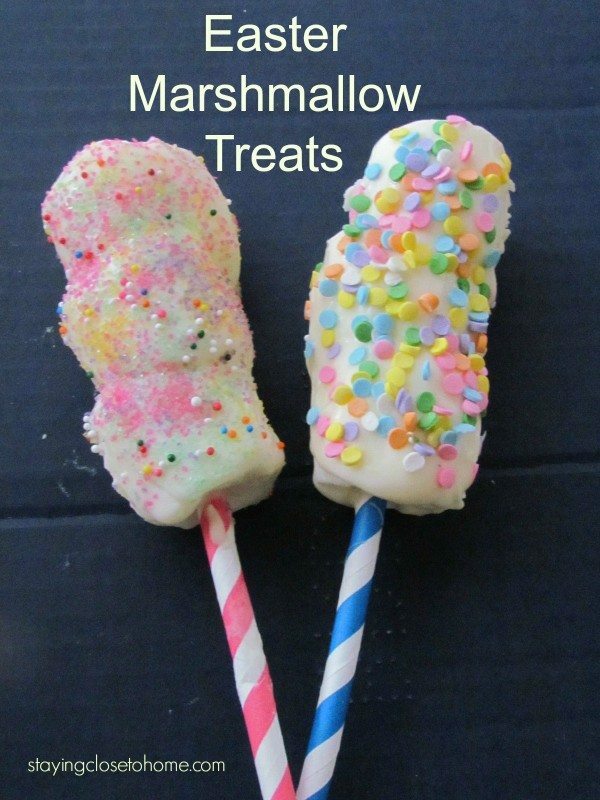 Before the chocolate hardens, add sprinkles and a little white marshmallow for the bunny tail. Lay them on parchment paper to harden completely. 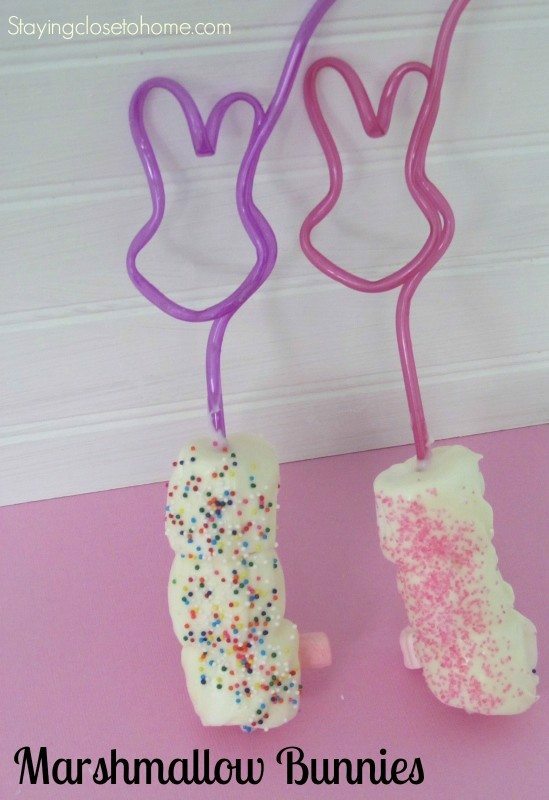 I think they are adorable like this and who doesn’t love a little chocolate covered marshmallow Easter Treat? Since I had more chocolate than Plastic bunny straws, I went ahead and wove some more marshmallows onto colored Paper straws and proceeded the same way just eliminating the bunny tail. Which one do you like so far? My Chocolate covered Marshmallow obsession continued when I found these large marshmallow eggs at Walmart. I have seen a lot of people covering peeps in chocolate but what about the forgotten Easter egg? Time to make an Easter Treat out of the eggs shaped marshmallows. 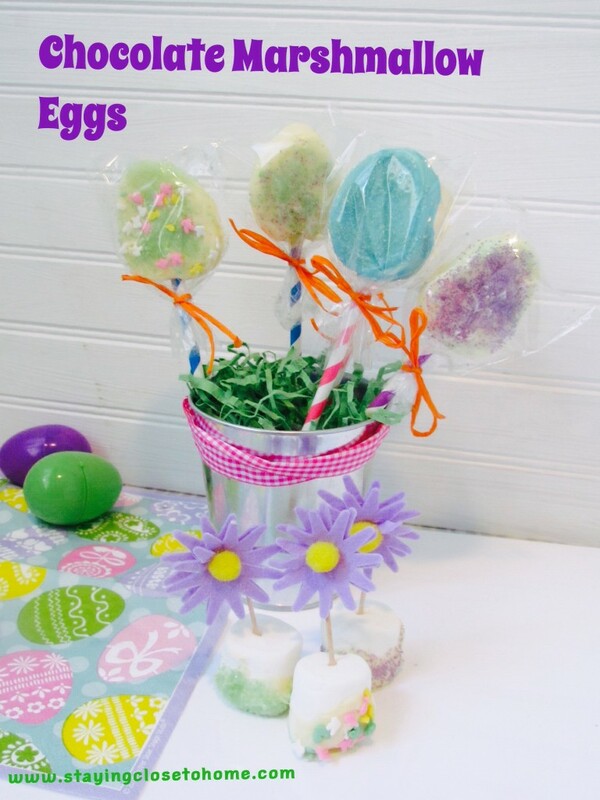 Once again a perfect treat for an Easter Party or centerpiece. 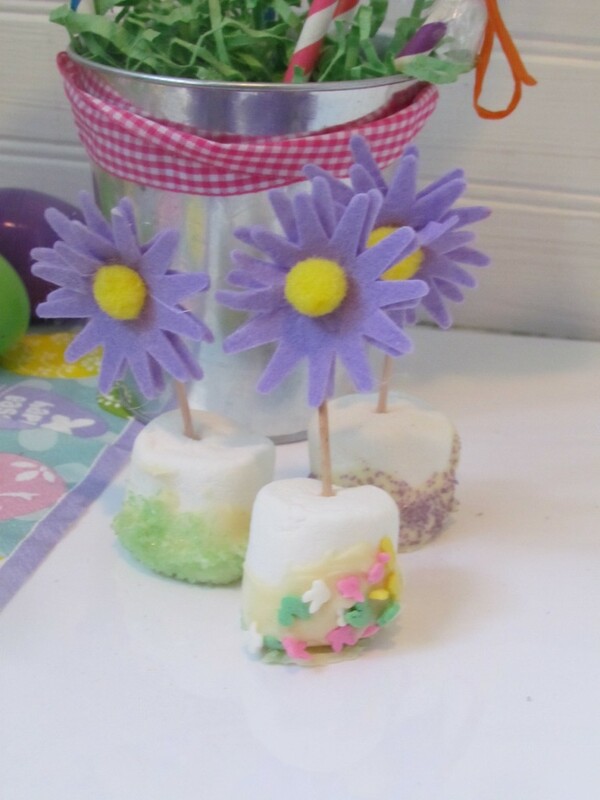 Just dip and sprinkle and you have some adorable Easter Treats to serve the kids, and adults too. Had to make these simple chocolate covered Spring themed treats by simply adding a Target Dollar Spot sticker to a tooth pick. What is your favorite chocolate covered concoction? Do you have a favorite Easter Treat you make every year? thanks for letting me know where ya got them! My nephew would go crazy if I found those egg-shaped flavored marshmallows…he LOVES stuff like that. These are so cute! My girls are getting a bit older, but I may still try to entice them to try these — thank you for the fun idea.